[media-credit name=”MVL” align=”alignleft” width=”281″] [/media-credit]We found a little jewel nestled on the edge of Truckee’s historic Old Town, and sitting on the banks of the Truckee River. 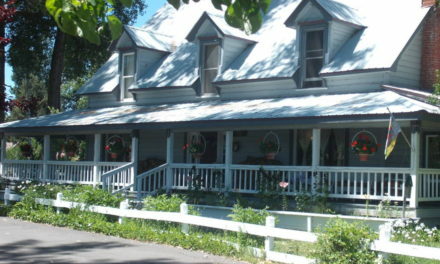 This quaint Bed and Breakfast was built in 1885 and is currently owned by Matt and Wendy Brown. The River Street Inn is completely renovated and every bit of charm was left while every comfort was added. Wendy greeted us and welcomed us to the large wooden dining table adorned with hand painted edging. She gave us the rundown on the inn and the area while we enjoyed a cup of coffee. 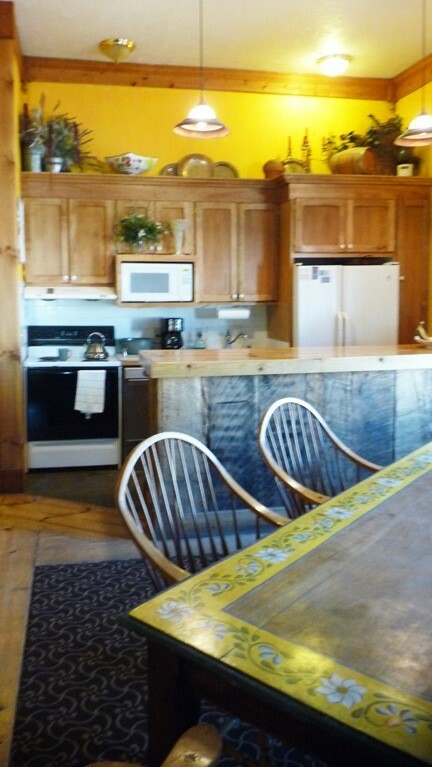 A rugged wood bar separated us from the darling kitchen adorned with distinctive décor. The place carried a definite charm from days of old while displaying an artistic flair throughout the two-story structure. Original wood floors with inlaid wool carpet guided us through the floor plan met by a centrally located wooden staircase. Upstairs, room selections include a family and a room with two twins, in addition to their standard queen rooms. Each tastefully remodeled room also showed off those rugged wood floors warmed by inlaid carpet, each with a different print, reminiscent of the inn’s earliest days. 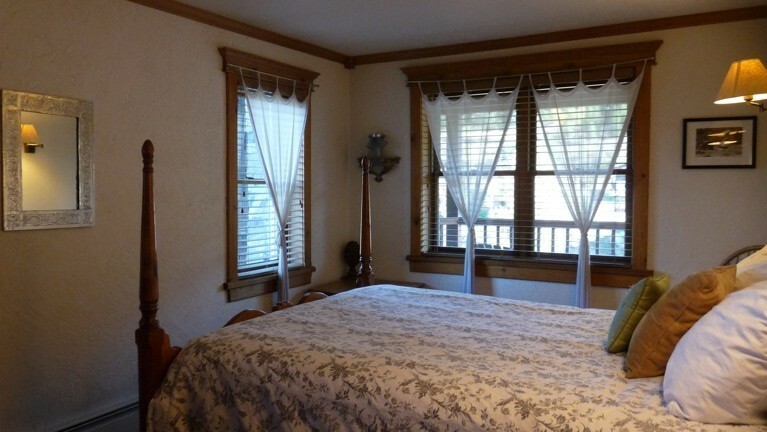 Cozy down comforters and thick draperies with wooden blinds compliment the inn’s modest wood furnishings. Rugged tile, pedestal sinks and an old fashioned pull-chain toilet show off each bathroom along with each room’s own original, iron, claw foot tub (with full shower). The Browns have enjoyed running the place for 15 years and have continually made improvements along the way. 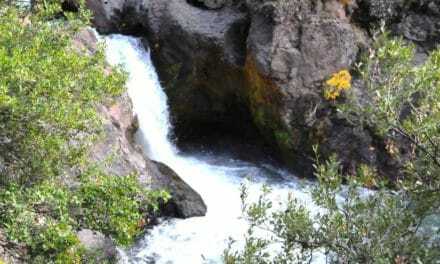 Matt has a great knowledge of the area and enjoys sharing local secrets with the guests. As far as the décor, Wendy told us, “There is always something we can change and when my mom comes to visit she always wants to change something. 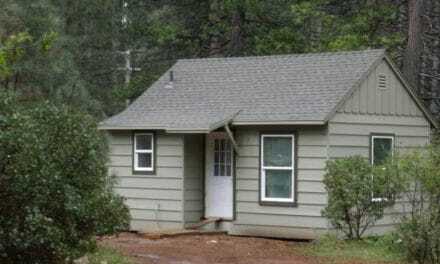 She is very creative.” She and Wendy’s decorating style add a touch of rustic elegance to the comfortable inn. In the early days the building housed the Truckee Jail, at another time a brothel and later, as an inn, it welcomed Charlie Chaplin during the filming of Gold Rush. Wendy said one of the cast members recently returned to celebrate his 90th birthday. From its original days, the antique piano still sits in the parlor area for all to enjoy. We sat and visited with a couple that traveled in from the east coast. They were greatly enjoying the trains and the quaintness of the downtown area. From the inn, you can walk across the street to catch the Amtrak train or catch a shuttle to one of the many ski resorts or locations offered at Lake Tahoe. 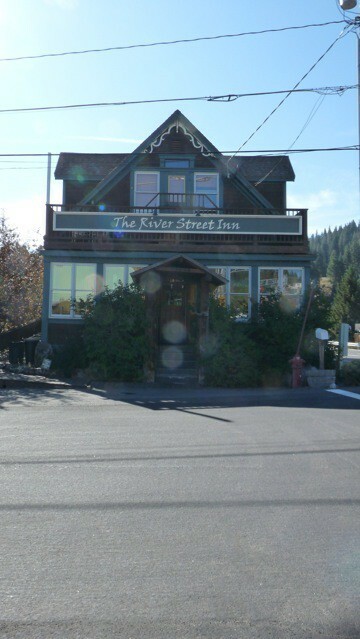 Also take a step outside the inn and you are meandering through Downtown Truckee’s famous shopping and dining district. Enjoy fresh fudge, handmade candy, an aromatic bakery and a gourmet shop with a host of gadgets for the gourmet in you. Quaint clothing boutiques and unique gift shops line the downtown street, along with an assortment of restaurants and lounges. We enjoyed an authentic Mexican lunch at Casa Baeza. The lunch specials were fabulous and under $10. I had the fajita burrito. We enjoyed an hour or so of shopping before heading back to the inn to get ready for dinner. We were invited to the famous Jax Diner across the street. Morning brought fresh coffee and continental breakfast along with a nice visit with Wendy and other guests, in the parlor. We greatly enjoyed our stay at River Street Inn. The beds are very cozy and comfortable. 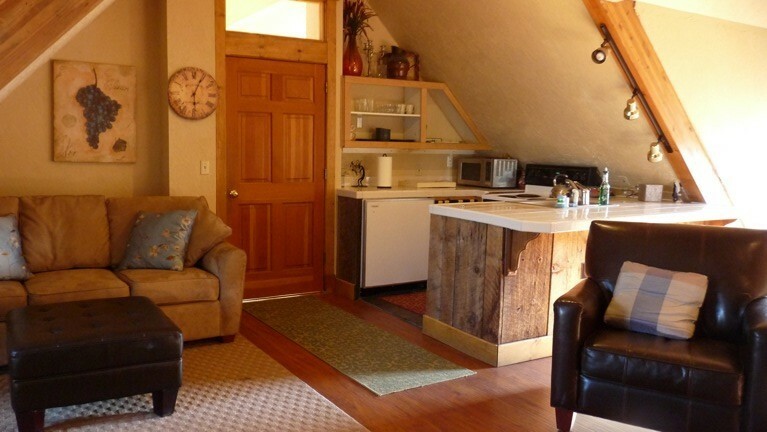 Each room has a private bath, a television and views of Historic Truckee. There is a balcony off the family suite, which overlooks downtown and another balcony on the other end of the building overlooking the Truckee River. We thoroughly enjoyed the close proximity of shopping, dining and the California Welcome Center in the old train station across the street. So next ski trip, why not take in the downtown? 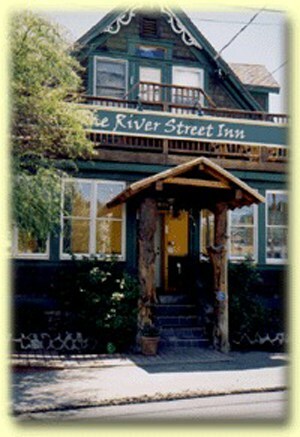 We highly recommend The River Street Inn for truly enjoying the unique charm of this quaint town. 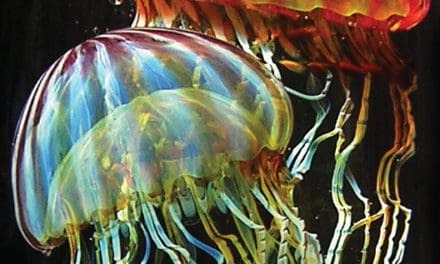 Downtown Truckee hosts many events throughout the year including a variety of holiday fun. Midweek rates at River Street Inn range from $115 to $130 with weekends and holidays ranging from $155 to $195. For reservations call 530-550-9290.